Tap Logo area to cycle colors 11 in all. Tap 3 area to cycle minute hand colors, 5 in all. Tap 9 area to cycle dim lume color, blue or green. Tap 6 area to cycle dim modes, Auto Always, On Normal, Always On and Off. Tap center area to change 24 hour mode, 1 = Local 24 hour, 2 = UTC, 3 = TZ1, 4 = TZ2, 5 = TZ3 and steps count to 24k. 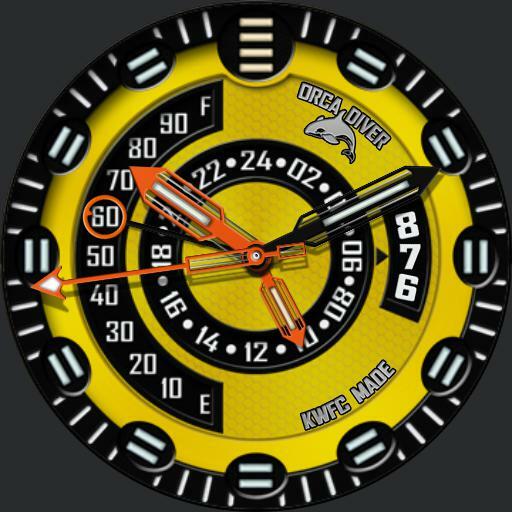 Left display is watch battery level. Seconds hand is phone battery level indicator in dim.